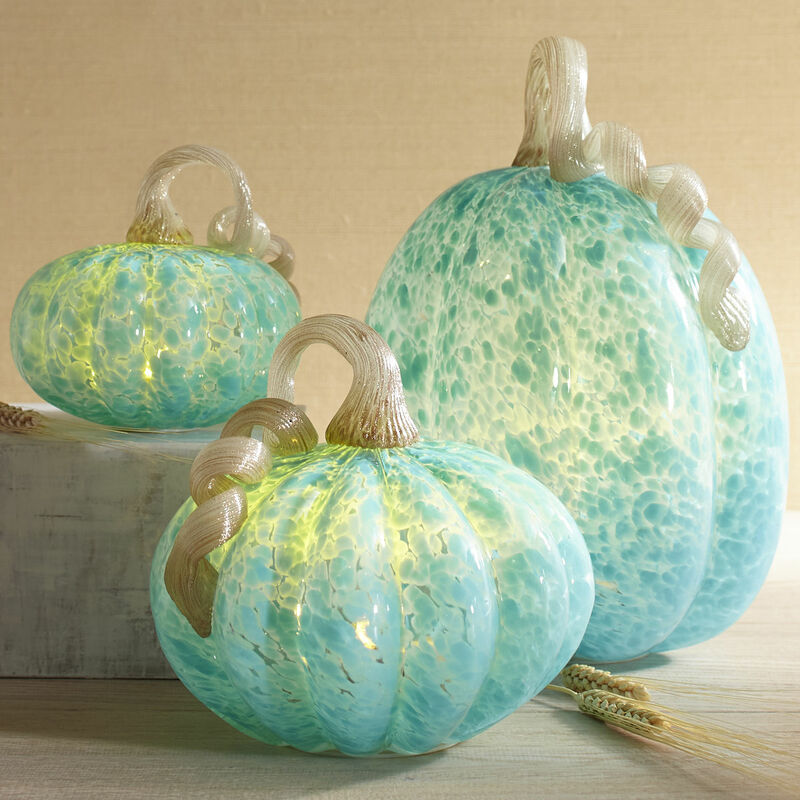 Wiith a lighted tealight or pillar candle, these glass Teal Pumpkin Pillar Candle Holders cast a perfectly lovely glow, brightening your mantels, displays and centerpieces. $39.95 Sale $27.98. Buy here. 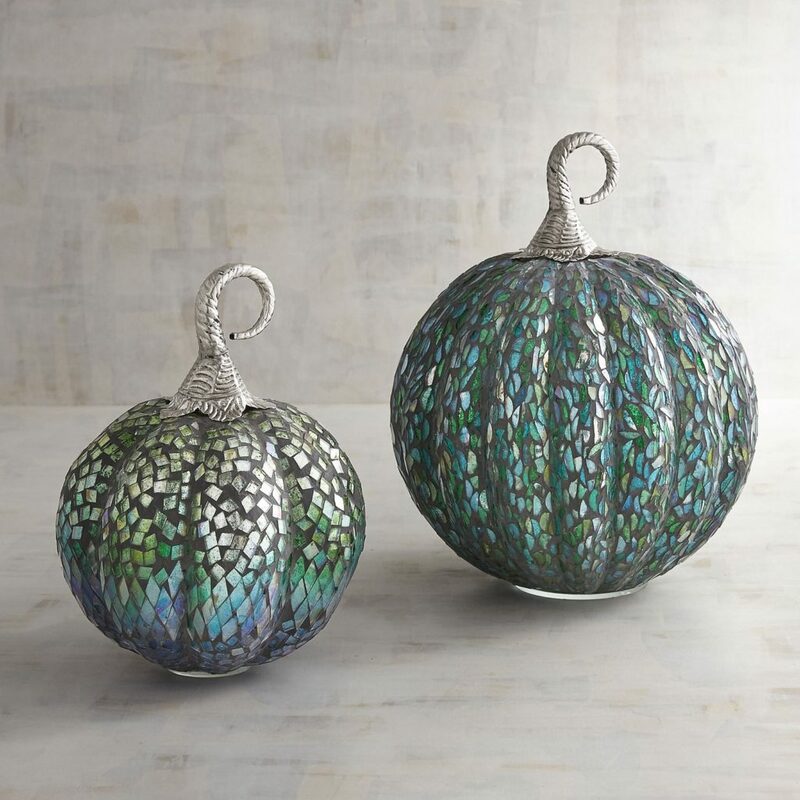 Make your Halloween and fall festivities a bit more fabulous with these dazzling handblown glass Blue & Green Mosaic Pumpkins with brass stems. $24.95-$34.95. Buy here. 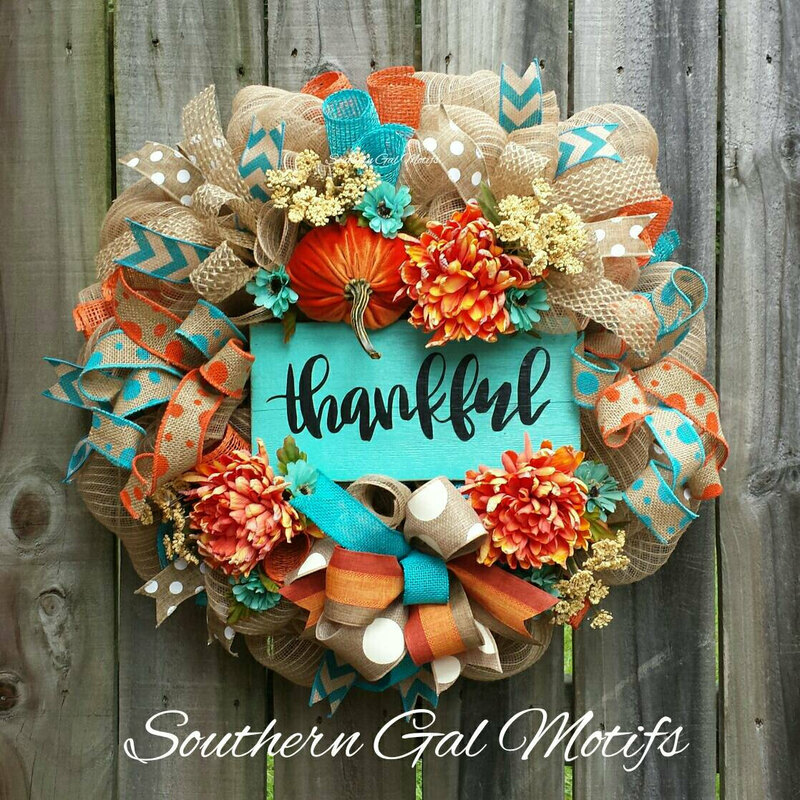 Be thankful and dress up your door this fall season with this beautiful Thankful Fall Wreath by SouthernGalMotifs! 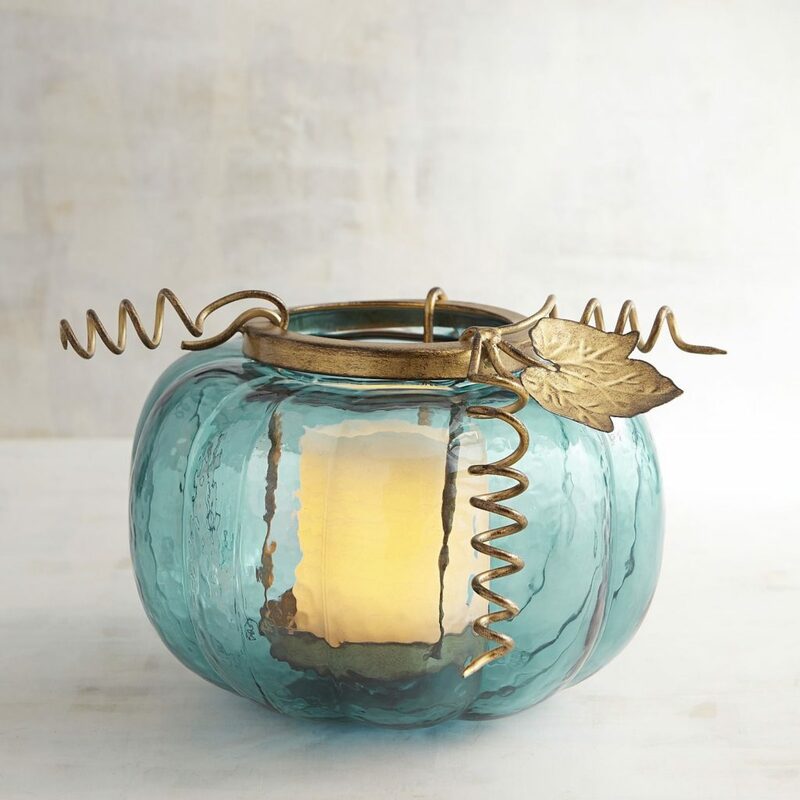 It has this fall’s top color scheme for the color palette: turquoise and orange. 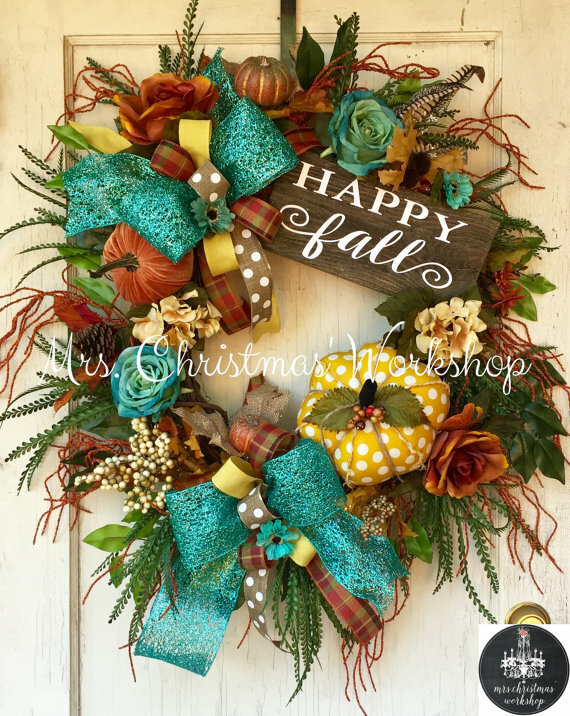 Features a custom wood barn sign stating “Thankful”, a wonderful plush orange scented pumpkin and beautiful fall flowers to accent the wreath design! The wreath measures about 26″ in diameter. $139. Buy here. 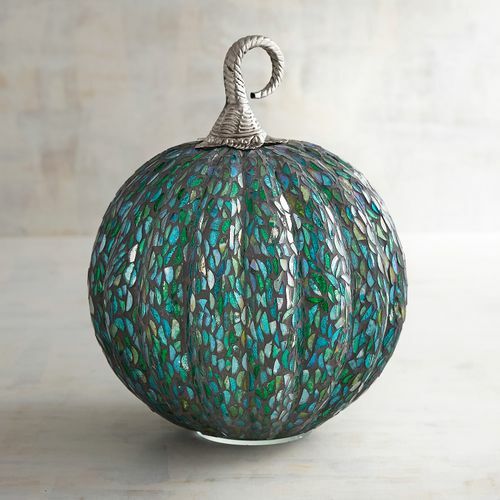 Go coastal this fall with thisÂ Fall by the Sea Pumpkins Pillow that combines the best of the season with the seaside. 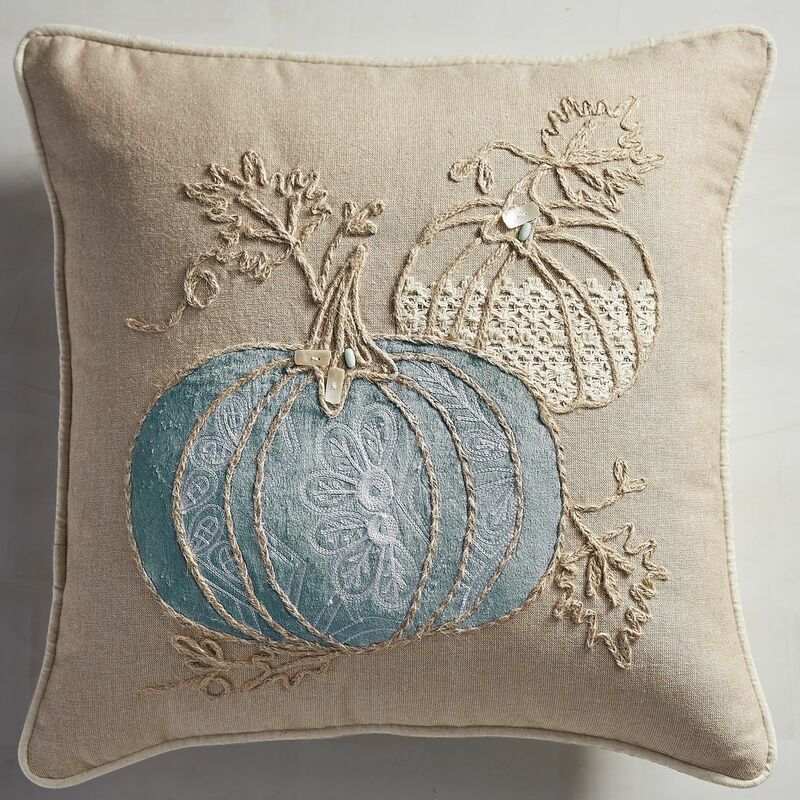 Awash in creamy color, this embroidered pillow is an elegant addition to your sofa or chairâ€”putting autumn front and center. $39.95. Buy here. 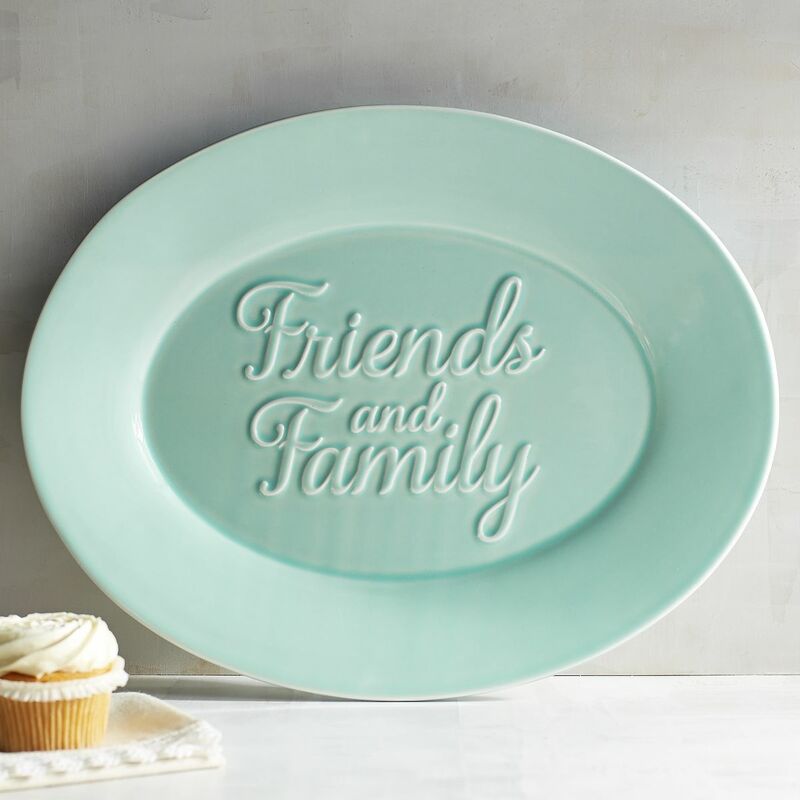 Carry love house to house with this sentimental earthenware Friends and Family Turquoise Serving Platter. 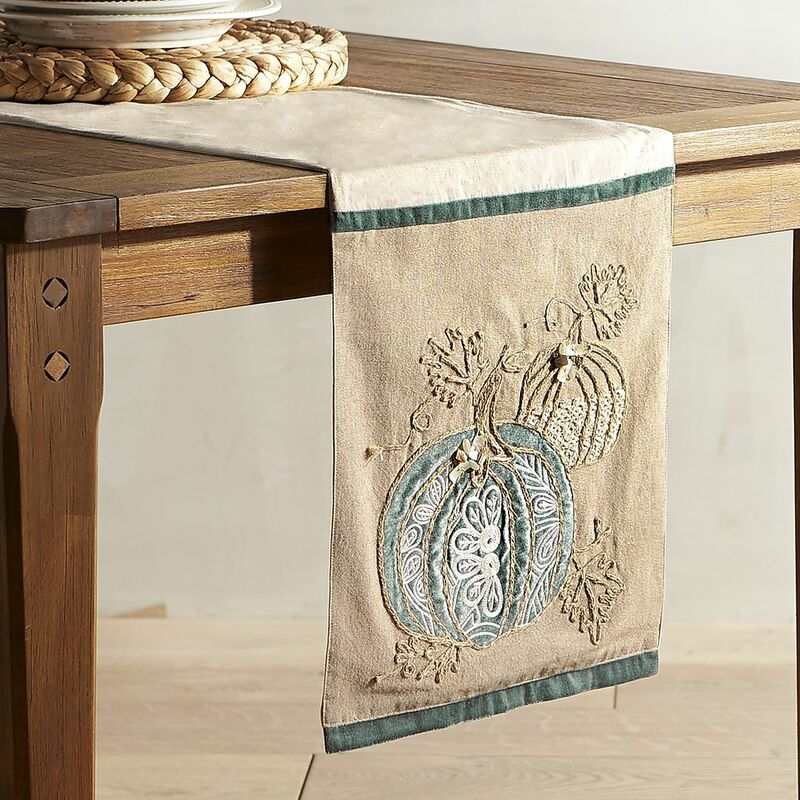 The perfect conversation piece for potlucks, family dinners and holiday gatheringsâ€”it makes a great hostess gift, too. $24.95. Buy here. 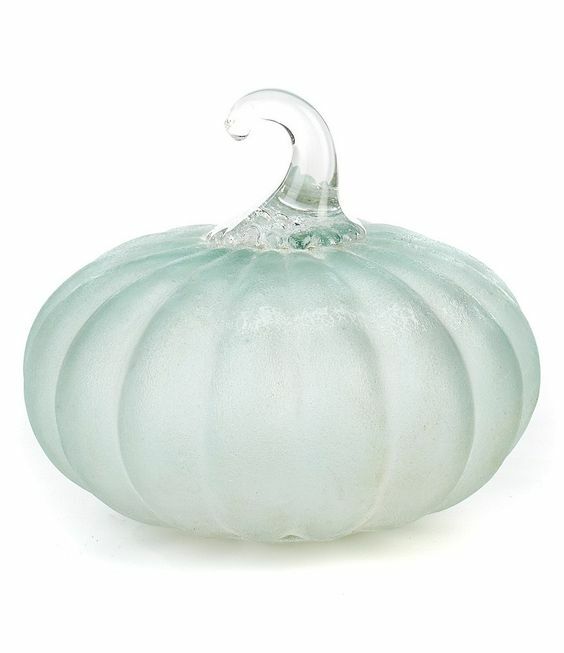 From Southern Living, this uniqueÂ Frosted Pumpkin Sculpture features frosted glass and a clear stem. Measures approx. 6 x 7″. $18. Buy here.